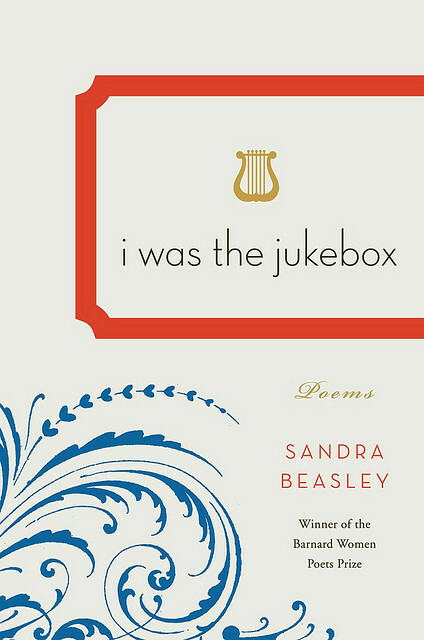 Sandra Beasley’s second book of poetry, i was the jukebox, catches your attention from the title, and doesn’t let it go ‘til the last line of the last poem. These 45 poems remind readers what good, timeless poetry is. If you think you don’t like poetry because you can’t understand it, read this book. Beasley will convert you. She has written real, honest poems that catch you off guard, insist that you pay attention, change the way you think. Love poems to college, oxidation, Los Angeles, and Wednesday in this collection, nestle among poems written from the voices of the Minotaur, piano, platypus, eggplant, orchis, sand, and the world war. Though there are three whose titles begin “Another Failed Poem About…” there are no failed poems here. Time and again, as I read and reread, I stopped to think and reorient myself to the way I fit in the world. It is a gifted poet who can do that several times in a series of poems. It is an amazing poet who can do it as many times as Beasley does in this work. Her Bernard Women Poets Prize is well-earned. >I checked it out from my local library, along with 3 others to choose which one to review. This one blew me away. I am ordering it today with my B&N Christmas loot. I love every poem in the book. A Platypus is the speaker in one. How can you not love that? >Those line you quote are magnificent, especially the "worth my weight in burning." There are so many connotations my mind races to there. I must get some more poetry to read, and this looks like a great start.